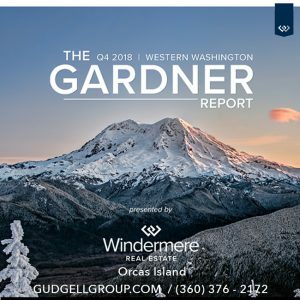 I hope you’ll find the attached Gardner Report interesting. I think even more interesting is the data on San Juan County. We are such an anomaly! We have one of the lowest unemployment rates in the state and are one of the highest self-employment areas in the state, twice that of our nearest competitor Island County. Our labor force is very seasonal. We have higher per person unearned income than other counties and one of the lowest average annual wages in the state. Business income has been growing in San Juan County for the last 8 years. At my monthly bank board meetings we watch our core deposits, typically for the last 35 years they drop in the winter. In the last few years our core deposits have not declined in the winter months which means our retail sales businesses are doing better as indicated by the Aggregate Gross Business Income graph attached. Also you will note that we are obtaining more income from professional, science, and technology; this is obviously because of RockIsland. I love to keep track of this stuff and hope you find it interesting as well. Here’s to a great new year and please remember me if you need a realtor. Feel free to call and discuss with me.